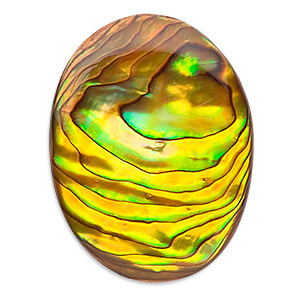 Cabochon, paua shell (coated / dyed), gold, 30x22mm calibrated oval, Mohs hardness 3-1/2. Sold individually. Item Number: H20-1789CB Have a question about this item? 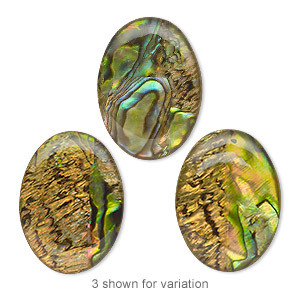 These are very vibrant, swirled rainbow colors, much more vivid than abalone. 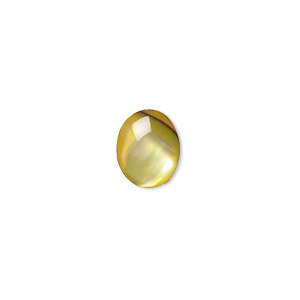 Epoxy-coated top protects against breakage, provide stability and enhance iridescence. From New Zealand, paua shell has traditionally been used to stimulate creativity and imagination. Color may vary from dye lot to dye lot. 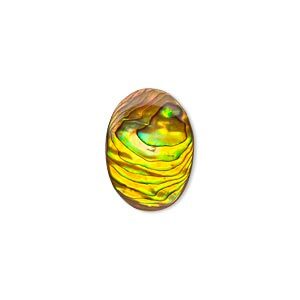 Cabochon, paua shell (coated / dyed), gold, 25x18mm calibrated oval, Mohs hardness 3-1/2. Sold individually. 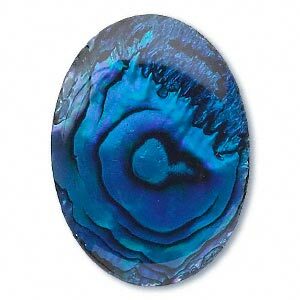 Cabochon, paua shell (coated / dyed), gold, 40x30mm calibrated oval, Mohs hardness 3-1/2. Sold individually. 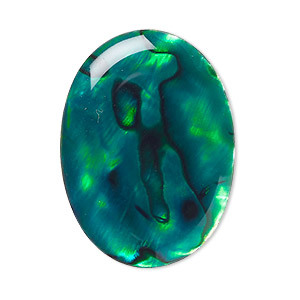 Cabochon, paua shell (coated / dyed), green, 30x22mm calibrated oval, Mohs hardness 3-1/2. Sold individually. 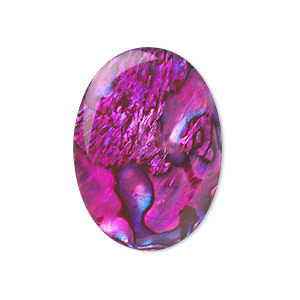 Cabochon, paua shell (coated / dyed), pink, 30x22mm calibrated oval, Mohs hardness 3-1/2. Sold individually. 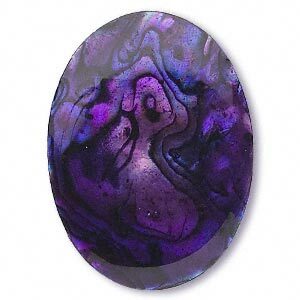 Cabochon, paua shell (coated / dyed), purple, 30x22mm calibrated oval, Mohs hardness 3-1/2. Sold individually. 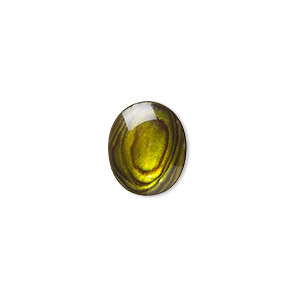 Cabochon, paua shell (coated / dyed), gold, 14x10mm calibrated oval, Mohs hardness 3-1/2. Sold per pkg of 6. 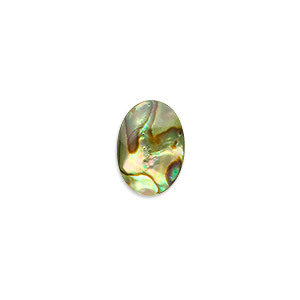 Cabochon, paua shell (coated / dyed), gold, 10x8mm calibrated oval, Mohs hardness 3-1/2. Sold per pkg of 6. 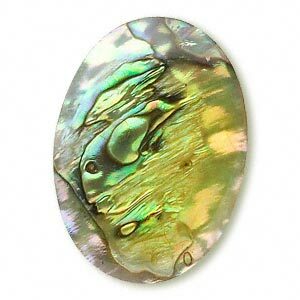 Cabochon, paua shell (coated / dyed), gold, 12x10mm calibrated oval, Mohs hardness 3-1/2. Sold per pkg of 6.